During these runs there is always one or two members leading. No one is left behind or pressurised to keep up. There will be options to drop-out and head home for those not wanting to complete the full run. We are running training in blocks of 6 weeks followed by a How Am I Doing? session. See the Training Calendar for block dates. 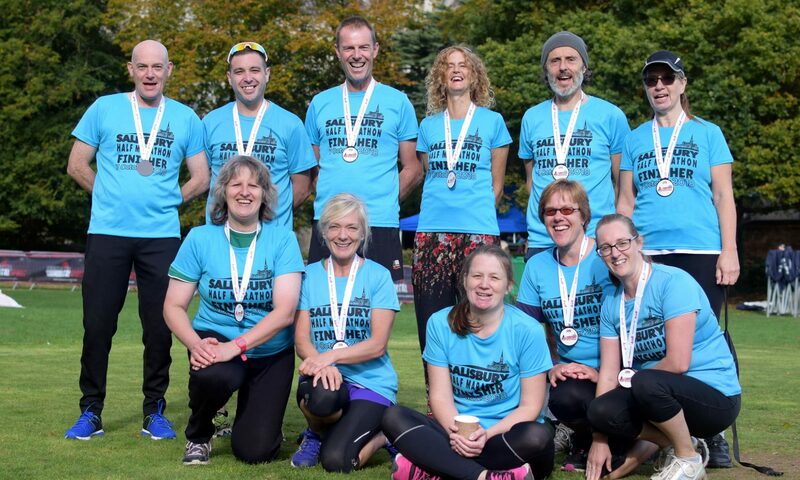 Several members regularly complete the Salisbury Parkrun so there is usually a lift to be found. Our Parkrun stats have their own page. Registration for Parkrun is free and always remember take your barcode. Meet at 09:00 for longer runs of varying distances. Occasionally we may drive to other locations for a change of scenery!